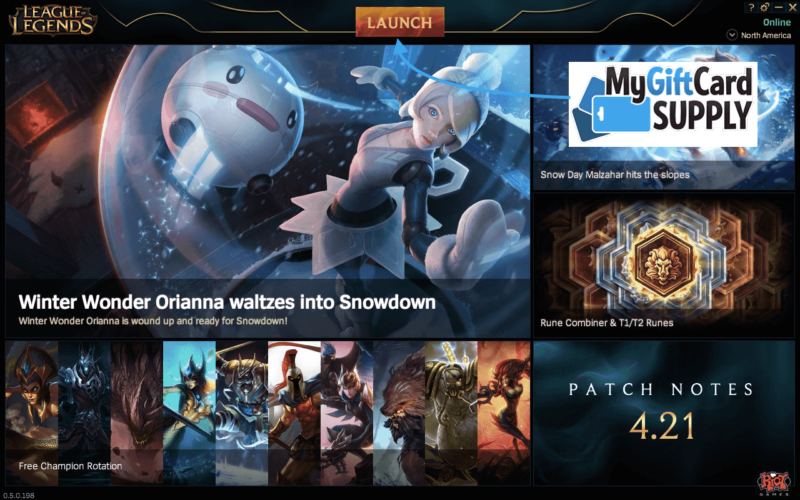 League of Legends Game Cards are the best way to enhance your League of Legends gaming experience. 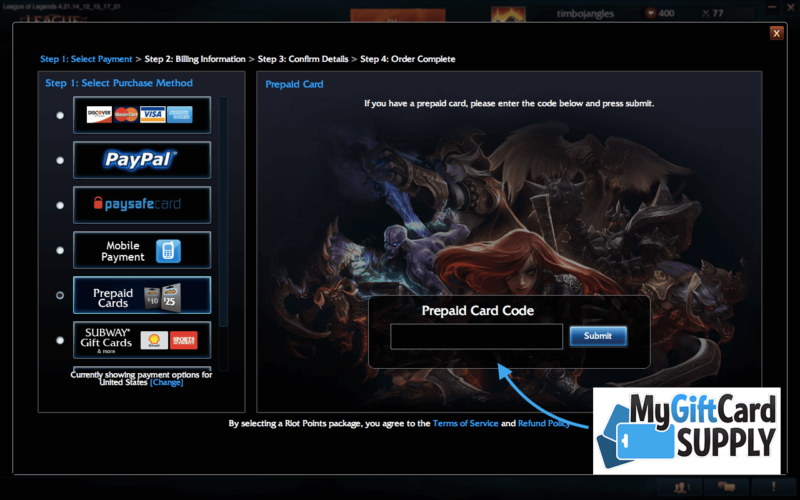 Follow the steps below to redeem your League of Legends gift card and use your Riot Points! Open the League of Legends (LoL) application on your desktop computer. 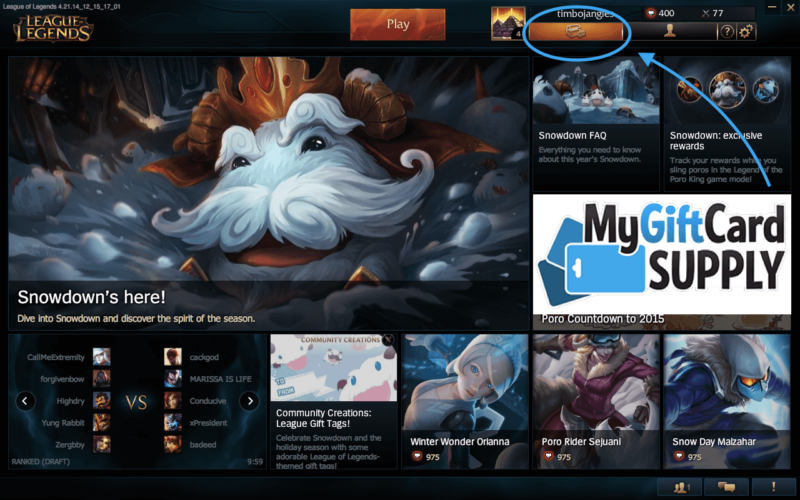 Enter your League of Legends login account information, and click Log In. Under your username, click the treasure chest to enter the Store. 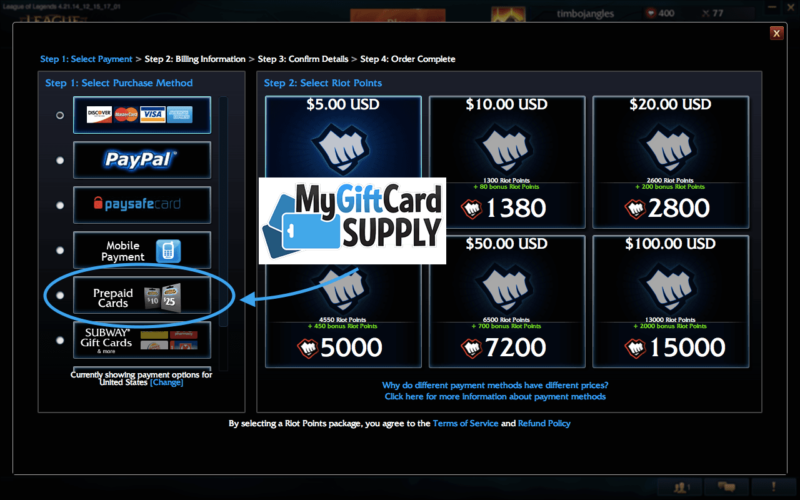 On the left column at the top, click the Purchase RP button. 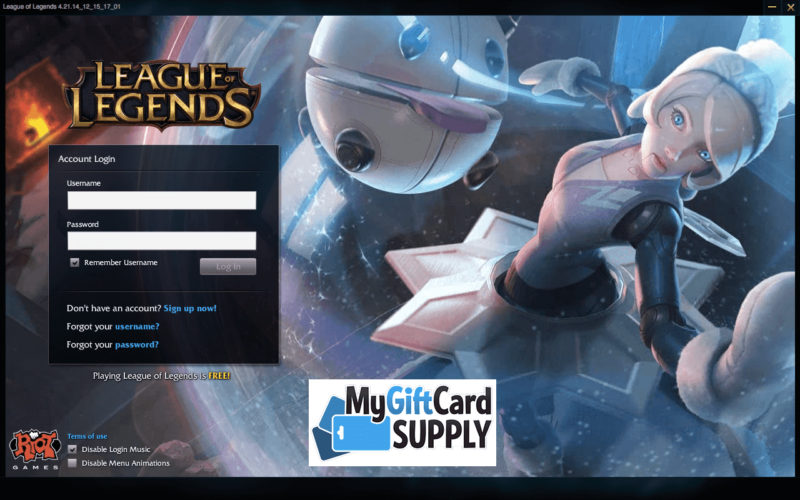 If you purchased your League of Legends game card from MyGiftCardSupply, check your email address for the code to redeem. Enter it under the Prepaid Card Code box and click Submit. 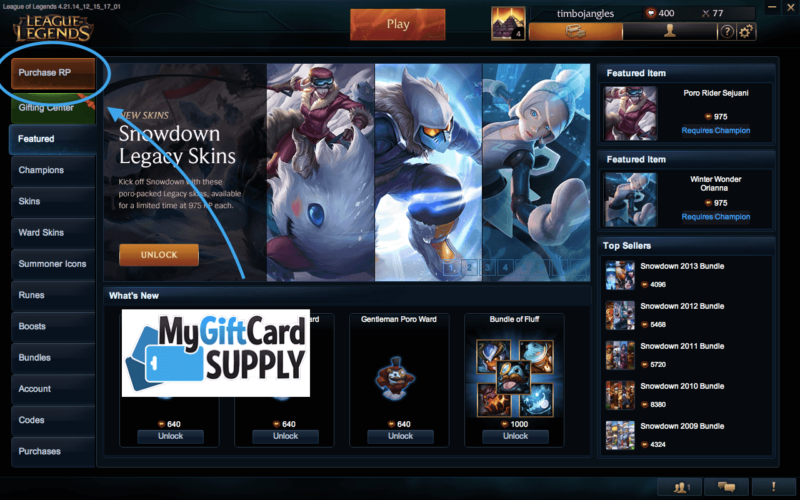 You can now enter the League of Legends store and unlock new champions, skins, boosts and more! Click Purchase RP in the left menu column. Enter the 16 digit gift card code, and the PIN. 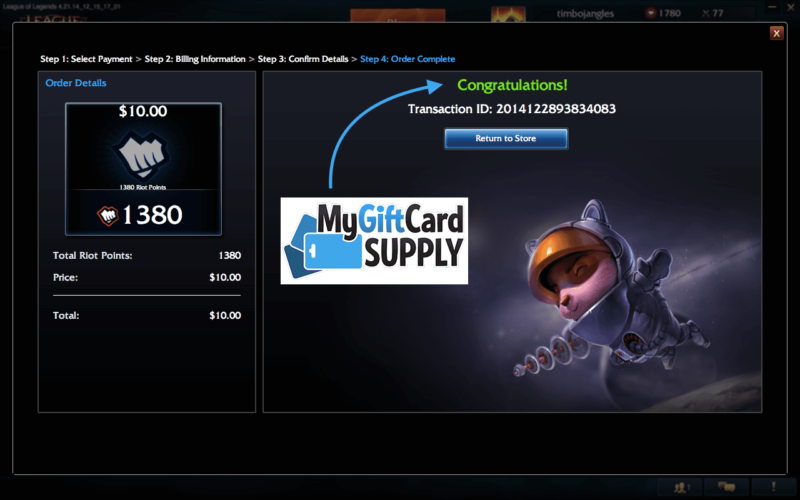 You should now be able to redeem and use your League of Legends game card online to use your Riot Points! Need a League of Legends Game Card?